olive complexion. They sported golden, SoCal tans straight out of a Coppertone sunscreen ad. Mitch had the added advantage of being blessed with a naturally muscular V-frame at his 15 years. An avid skateboarder and born leader, his was a world I could only imagine from afar –tube-top girlfriends, puka shells, Hang Ten T-shirts, feathered blond hair, and the perennial fat brush in the back pocket of his strategically torn, flared Levis. utter shock that someone could live with themselves with such pale skin! I wasn’t so much a brother as I was her own personal freak show. I never went so far as wearing long sleeves to cover my offensive arms, but I did make a point of only wearing long pants in order to cover my white legs, even when temperatures regularly soared above a hundred degrees. Discomfort, I figured, was far easier to live with than ridicule. kids from the neighborhood lounged poolside on reflective silver blankets like so much sizzling bacon. 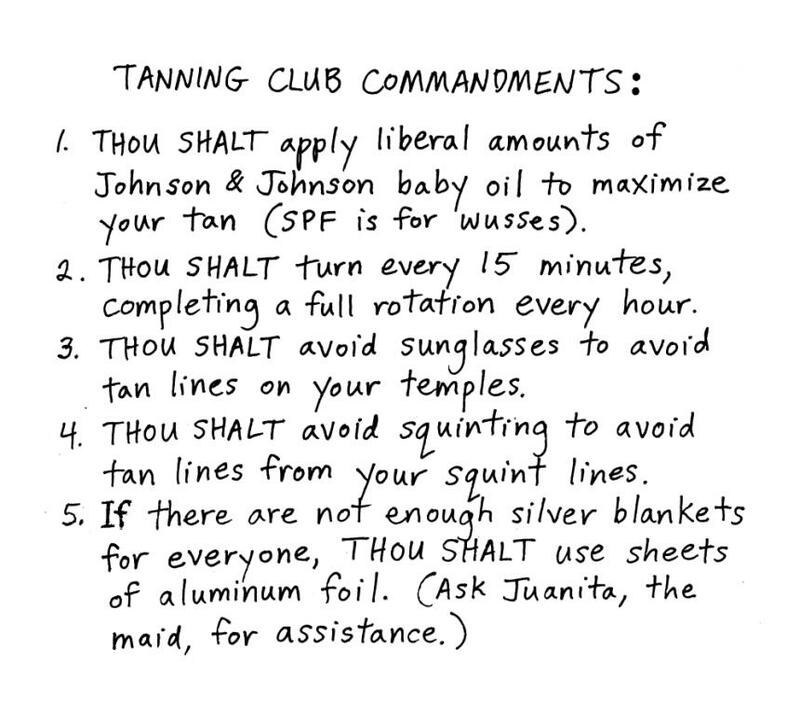 Attendees achieved instant membership in the Grunbergs’ self-proclaimed West Valley Tanning Club, which, as far as I could tell, included Five Tenets of Tanning to which all pledged their allegiance. struck greater fear. 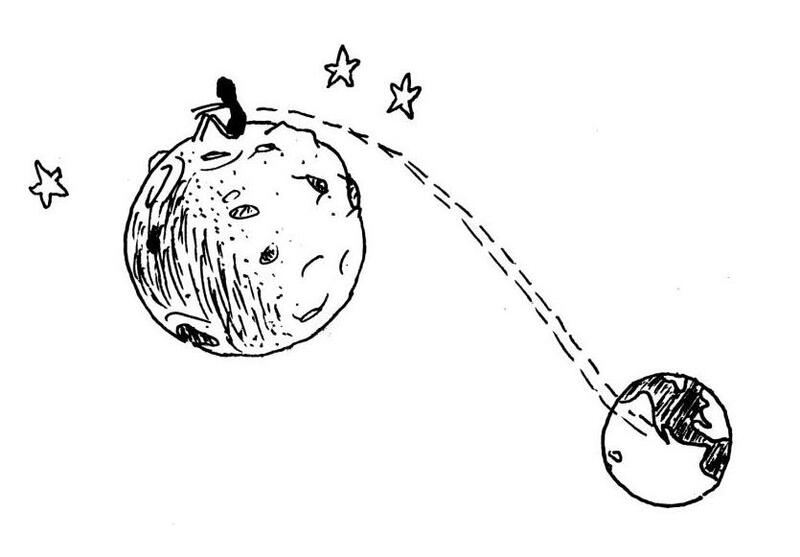 Getting out of the party was not an option – even Dad was going, and he never went to these things. Once there, I would only look like the odd-man out if I didn’t join the others in the pool. I could claim a bad head cold, but how many times could I keep using that as an excuse? On the day of Hope’s party, my family and I walked over to the Grunbergs with a carton of Neapolitan ice cream and a gift for Hope. Mitchell and Megan were already in their swimsuits, and wasted no time tumbling into the pool, merging with a sea of coffee-colored flesh in games of volleyball and Marco Polo. I was still fully clothed, wearing my trunks under my pants. Maybe if I stalled long enough, everyone would get bored and wander out of the pool for cake and ice cream. I always held a secret crush on Hope. Sure, she had a weird tanning obsession, but she was no different from any other Valley girl in that respect. She was one of the few girls I knew who didn’t avoid me like a leper, even laughing at my jokes. It was always a fake laugh, but I appreciated it anyway. Now I was torn – do I risk disappointing Hope, who might harbor a crush on me, by not going in? If I played it cool, I could at least retain my dignity, along with any future fantasies – however outlandish – of us going steady. On the other hand, if I just went ahead and took the plunge, I would show I don’t care what others think, and that in itself takes courage. Girls dig courage... or so I gathered from DC Comics. I took a deep breath. Just do it and maybe everyone’ll stop thinking of you as a freak. They’re so busy playing, they probably won’t even notice. After exhaling, I wandered over to a chaise lounge near the screen door and casually removed my sneakers. I had barely pulled my socks off when someone’s voice cut through the air. I looked up. Dustin was standing next to me, dripping water and sucking a Grape Popsicle. His lips were purple. seen an apparition. I sighed. If he thought my feet were pale, wait’ll he got a load of the rest of me. The mere thought that I had to expose My Royal Whiteness under Dustin’s prying eyes froze me in my tracks. Even then, I couldn’t figure out who would be more traumatized – me or Dustin. As I slipped my shirt over my head, I made sure to keep my arms as close to my chest as possible to make my rail-thin body appear fuller than it was. I could swear the glare from my torso was casting a sheen on Dustin’s face. Next to come off were my long pants. Stripped down to my swim trunks, I was now standing naked unto the world in all my pallid glory. Dustin had the look of a guy watching a TV show – eyes glazed over, simultaneously mesmerized and detached. “I am so glad I’m not you,” he muttered absently, gnawing on his Popsicle stick. Mrs. Grunberg stepped outside with several boxes of pizza. “Who wants Shakey’s?” The kids squealed their approval and scrambled out of the water. Great. Now I would have to stand around in my swimsuit like all the other kids while we ate lunch. Putting my clothes back on in 95 degree heat would only draw more attention. Hope stopped in her tracks to look me over. A circle of kids gathered behind her. Tilting her head like a puppy, she thrust her index finger onto my rib-lined belly, pushing down with some force before removing it. She was looking for the white circle that forms when you press on tan skin. Needless to say, there was no mark. Maybe I really was a ghost. I certainly felt like one, because people started talking about me as if I were invisible. After everyone had their turn poking and prodding the human Petri dish, only one person hadn’t said anything yet. She was just standing there, taking in the spectacle the way one appraises a piece of modern art. All eyes turned to birthday girl Hope, purveyor of pigmentation, presider of perspiration, Ra goddess of the West Valley Tanning Club. She shrugged. “I’ve seen worse.” Then she went over and got pizza.